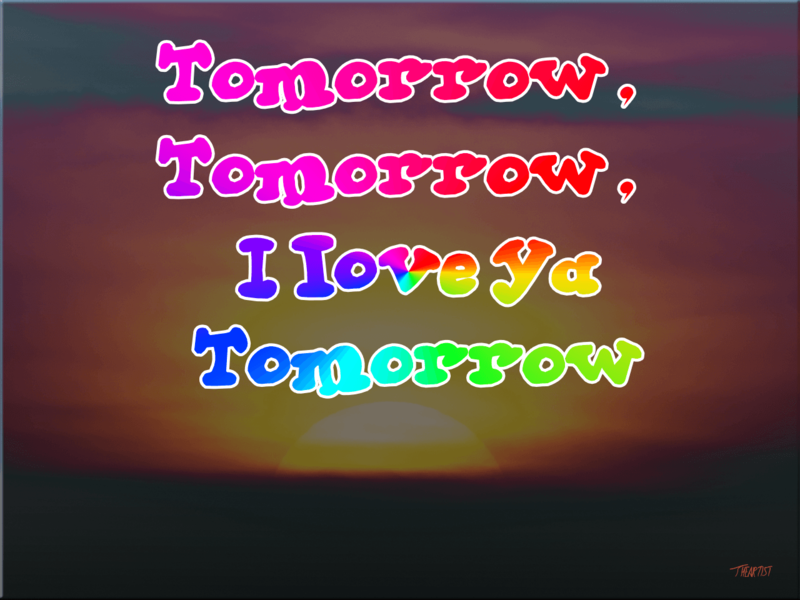 Tomorrow, tomorrow, I love ya Tomorrow. Tomorrow is only a day away. Tomorrow might be a bit too close and this song may be too optimistic for some procrastinators but it may have potential as a procrastination anthem. What do you think? Leave a comment sometime.